Call now for a free needs assessment! inHOMEcomforts is an independent, family-owned home care agency serving Chicagoland. It is our mission to provide our clients with the in home care they need to live comfortably and as independently as possible. 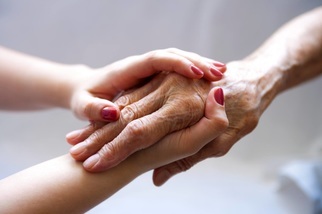 We specialize in senior care but also provide services for clients who are home-bound, physically or mentally impaired, recovering from recent surgery, and the terminally ill. Serving Bloomingdale, Roselle, Arlington Heights, Hoffman Estates, Glen Ellyn, Wheaton, Addison, Winfield, Downers Grove, Schaumburg, Hinsdale, Oak Brook. Our commitment to you is to provide the absolute best in home care services at an affordable price with superior staff and commitment. We have a rigorous screening process for our caregivers and it pays off because our staff retention is high! We complete a background check on each caregiver and provide training. "Nutritious food, transportation assistance and adequate housing are as important for person’s health as medical treatments." ​ caregivers throughout Northern Illinois. ​We are fully licensed and regulated by the State of Illinois.